If its time to get rid of that old air conditioner our company does one of the best AC replacement services for Surprise residents. 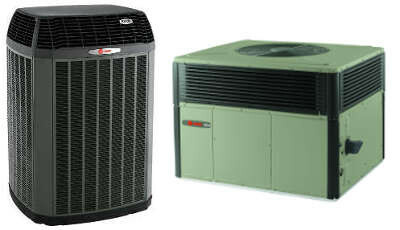 We can do a whole heat pump or air conditioner or even just replace the condenser, evaporator, furnace, or air handler. We want all the new air conditioners we install to perform at their highest efficiency and so they make it through most of their life without repair. 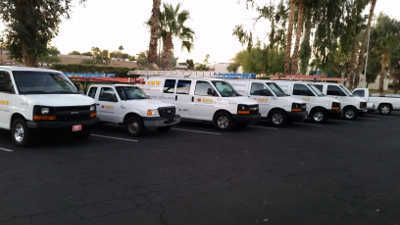 We made sure to hire some of the best in the valley to install so we can guarantee an awesome AC replacement job for any situation. Our customers love their new units and they have left us awesome reviews. Have us out for a free quote and get the best air conditioning replacement in Surprise, AZ. We want Surprise homeowners to have the best air conditioners around, that’s why we became a Trane Comfort Specialist, a title that must be earned from Trane in order to sell their products. What we did was prove to them that we are the best in on the field service, installations, customer service, and continual staff training. Their air conditioners are superior in design, providing some of the most efficient units on the market and they are the most reliable and durable. If you have us out you’re going to get a well-known very effective brand of air conditioner with an expert team of installers that will make sure the unit works efficiently and spend most of its life without repair. We always leave it up to you to go with any recommended work. Our service is offered 24 hours 7 days a week in case of emergency. This summer and spring when running the air conditioner, our expert technicians will be able to diagnose and make a cooling repair for any breakdown your unit is dealing with. Our technicians are experts because they have certifications in NATE, BPI, and are members of the Arizona Heat Pump Council. Everyone on our staff goes through routine training so we know that everyone is up to date with the latest in air conditioning and so they know what to expect from old equipment. We’re a group of expert technicians that exercise’s their experience with routine training and delivers excellent customer service to earn your satisfaction. Whether you’re trying to cool your home off in the summer or heat it up in the winter, our heat pump repair service is offered year round since they are able to cool and heat. Heat pumps are becoming very popular in the valley and we have been taking care of them for a very long time. They only use freon and are available in package and split styles. Our technicians are experts at fixing heat pumps thanks to their experience and training. SMW and its technicians are an awesome choice for your heat pump repair. We offer heat repair service for furnaces in Surprise, AZ, we operate 24/7 and we have some of the best technicians around to fix your heat. Thanks to a combination of experience and routine testing our technicians know the ins and outs of any heating system. If your system breaks down in the cold night our HVAC Technicians will be ready for your gas furnace. That’s why in Arizona your furnace counts the most during night time. We’re a top-notch HVAC company and we’ll be there for your heat repair when it counts the most! We perform maintenance service for air conditioning and heating systems. We recommend having this service performed every 6 months in order to properly maintain your system. The maintenance is also an inspection and our technician will be able to determine where your unit is lacking. We may find that your system is lacking in efficiency or if its going to break down soon. High utility bills are a result of poor efficiency and a breakdown may occur from lack of maintenance. Problems in either area can be fixed after the technician has done his service. This checklist covers what were going to check on your air conditioner or heat pump in the summer and spring. Heat Pumps will have the same check in the winter since they use the same components in reverse to heat. We follow the checklist below for gas furnaces in the winter and fall.